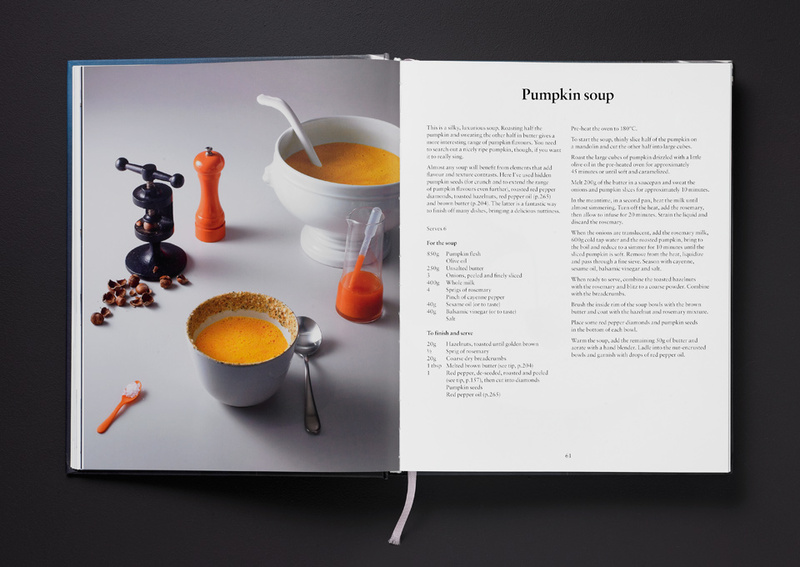 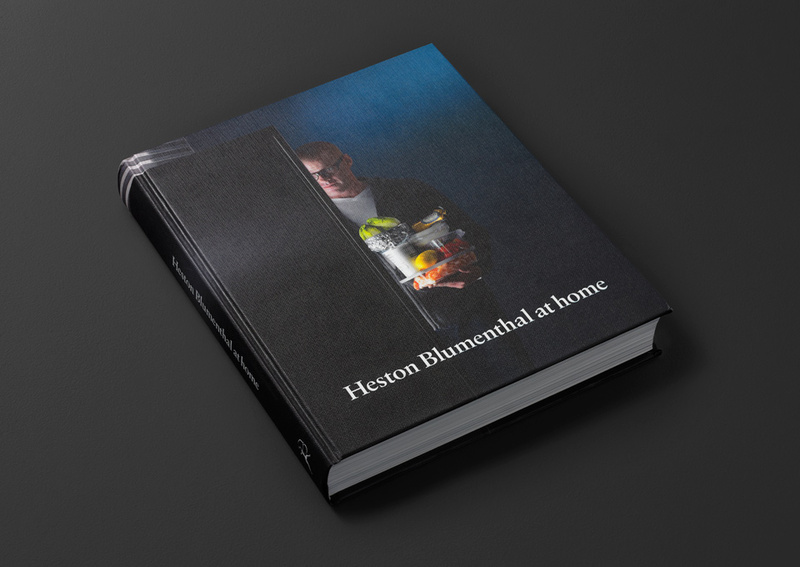 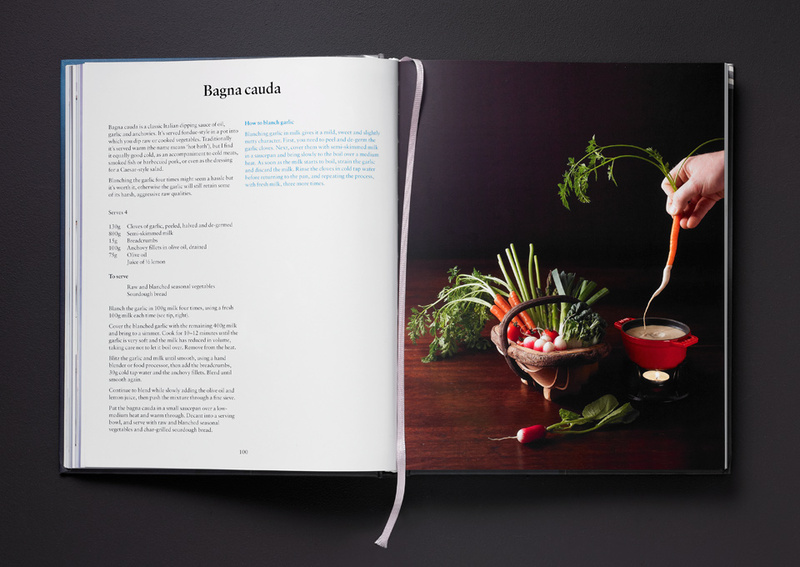 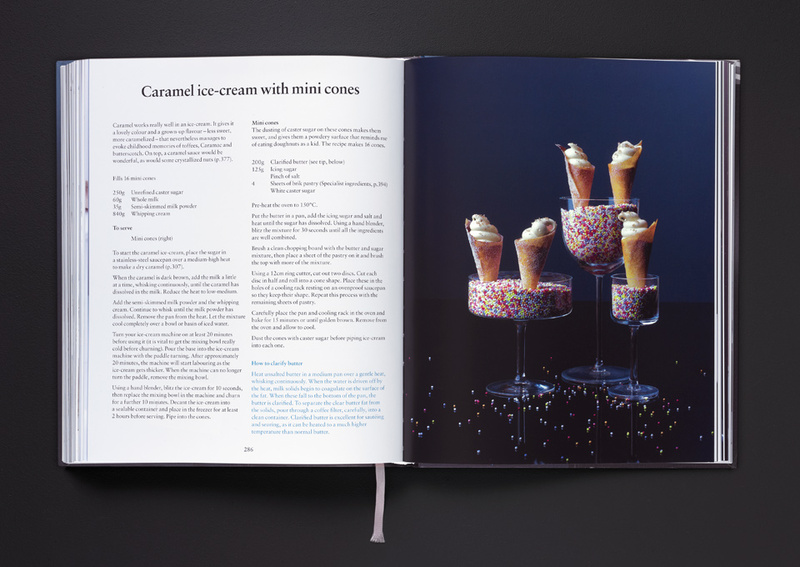 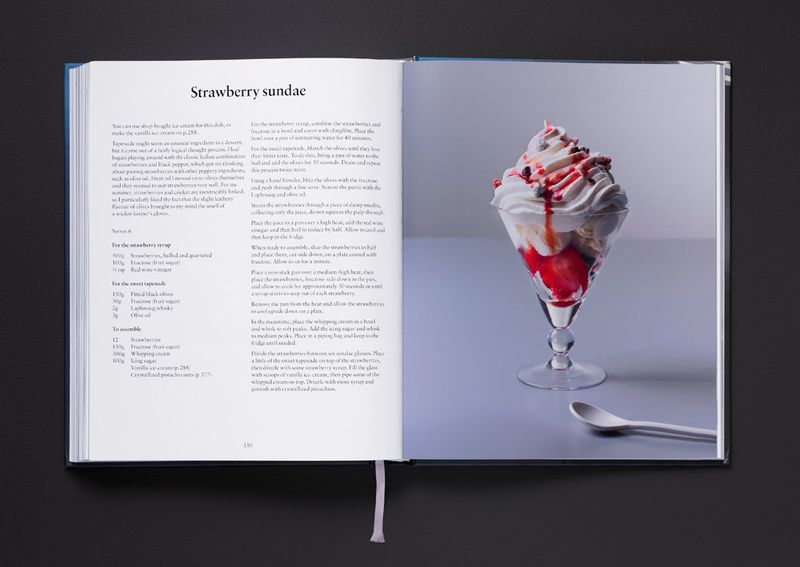 This book of recipes for the home cook needed to be wholly approachable at the same time as reflecting Heston Blumenthal’s precision, control and originality. 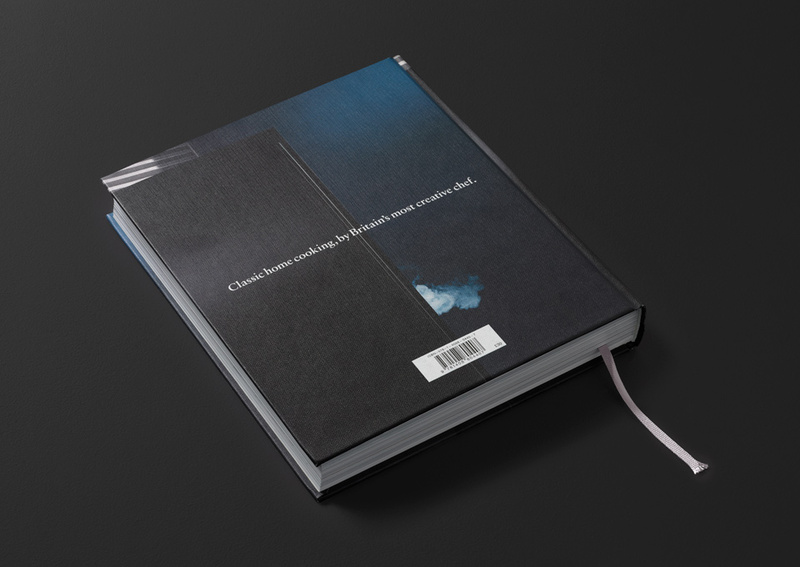 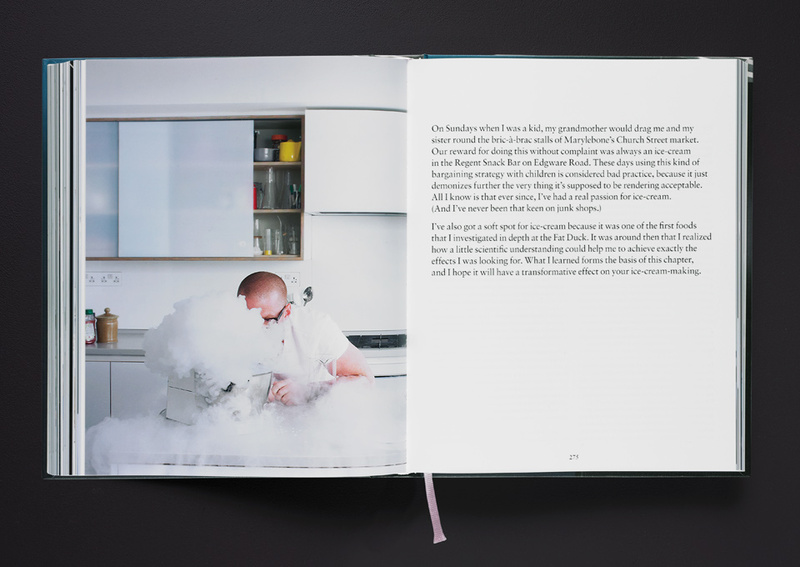 Presented with a blank canvas by publishers Bloomsbury, the decision was made to put photography at the heart of the book. 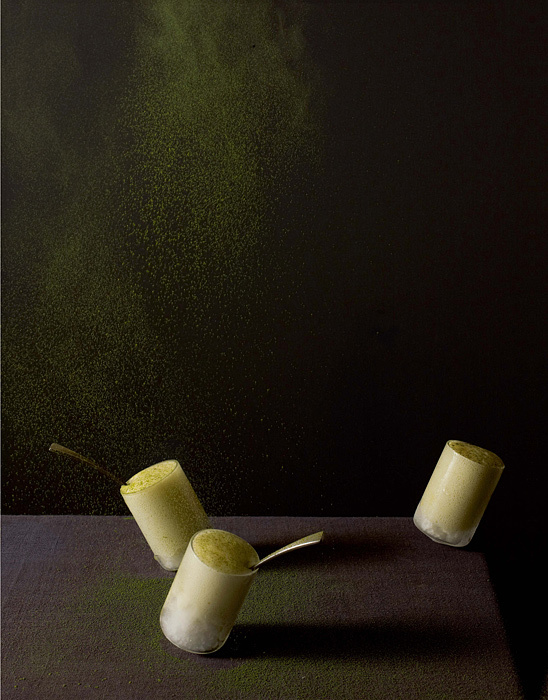 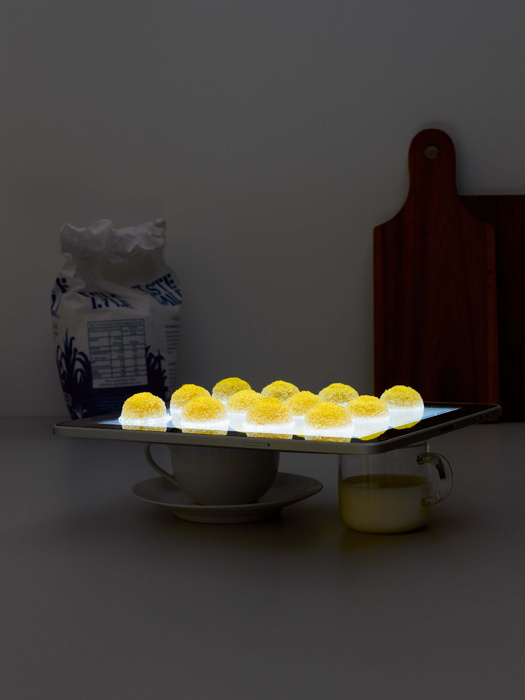 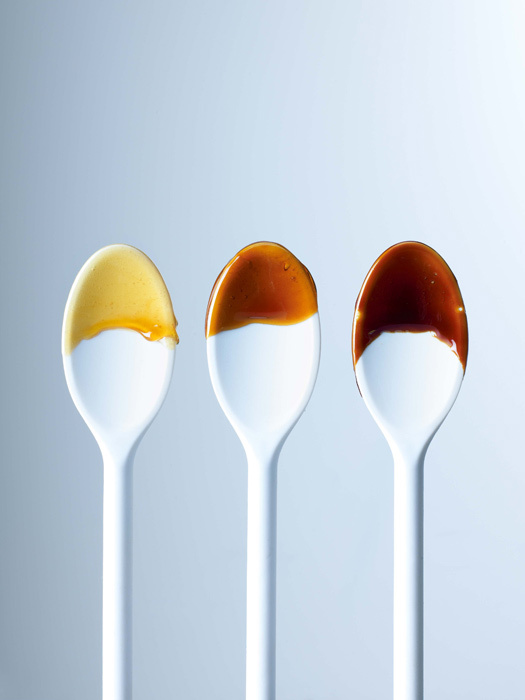 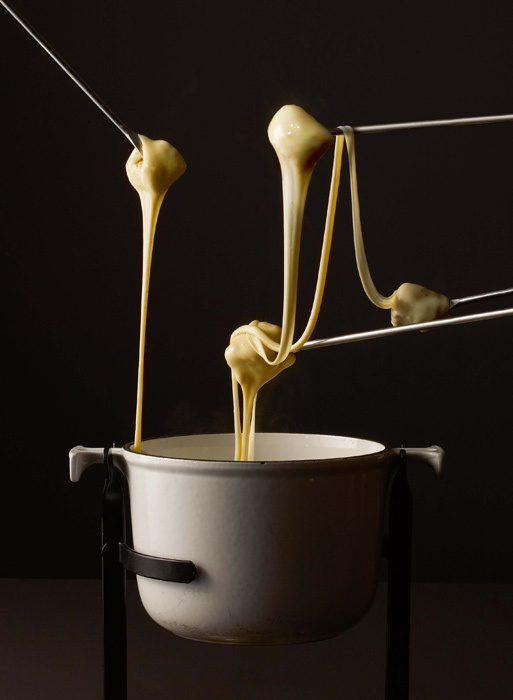 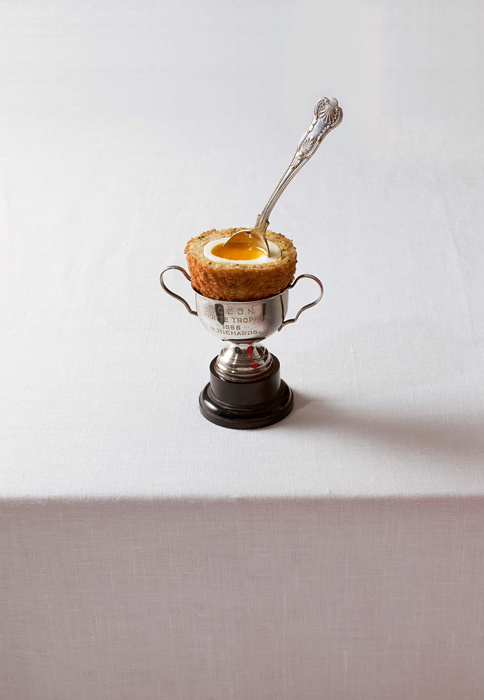 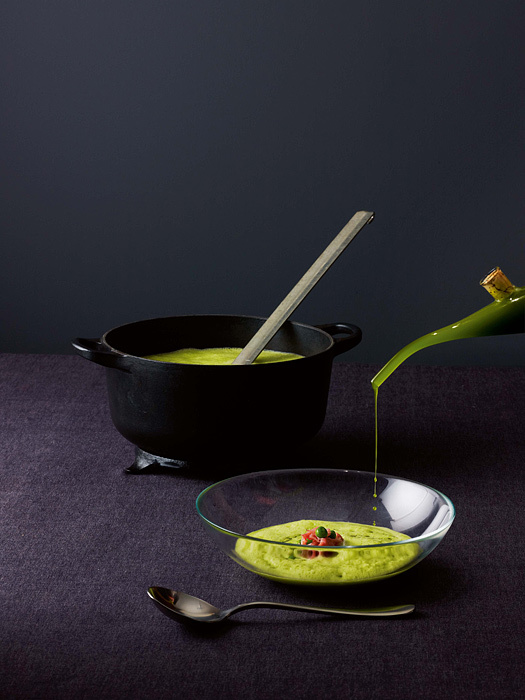 Photographer Angela Moore, stylist Lesley Dilcock and the Fat Duck development team created 120 images inspired by a still-life style of food photography long since replaced in cookery books by the informal and day-lit. 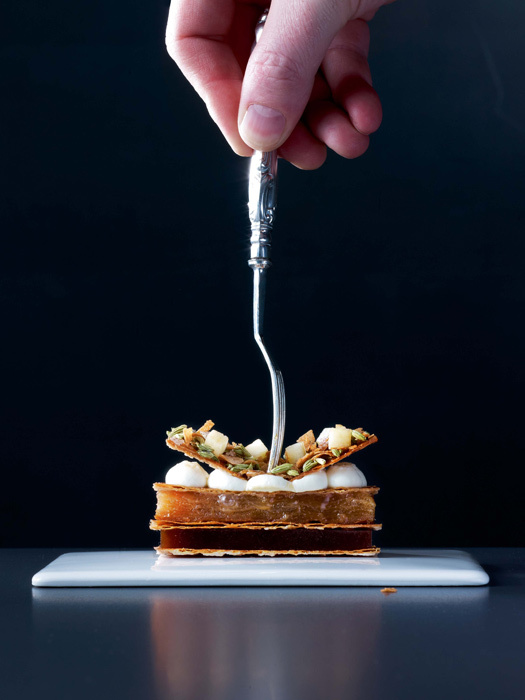 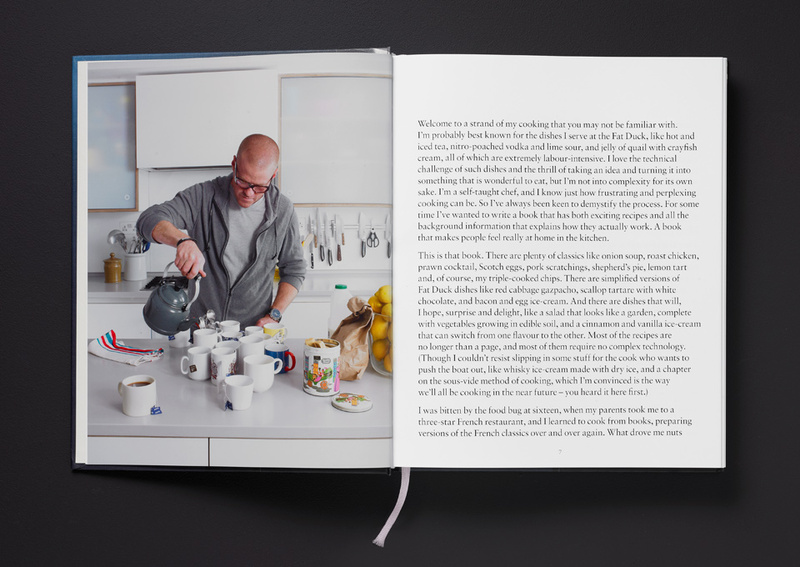 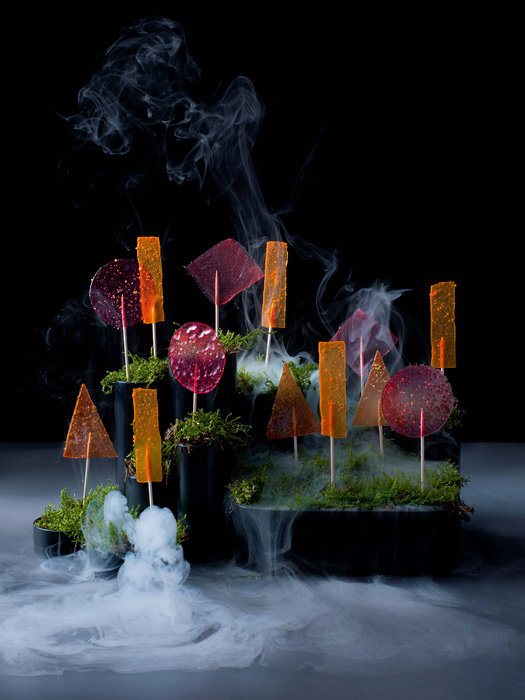 a controlled kitchen-cupboard mix of old and new, drawing on Heston’s preoccupation with combining historical influence and contemporary laboratory-born technique. 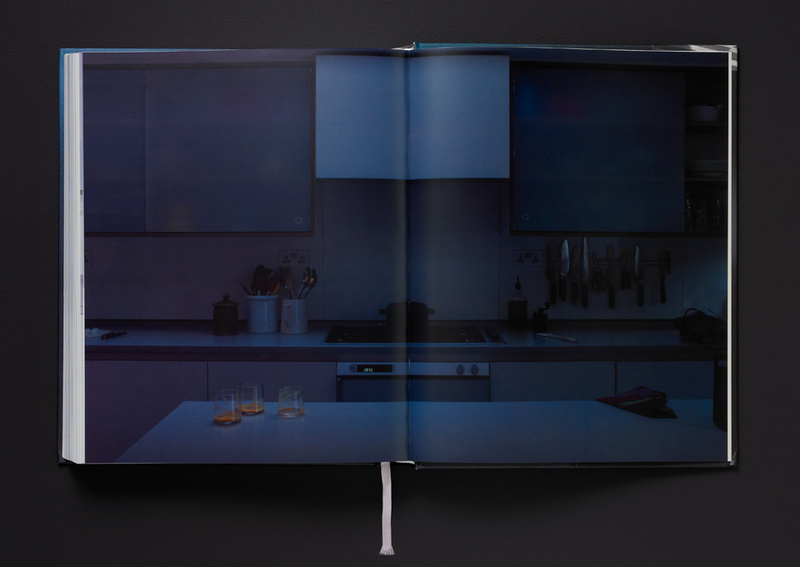 The book’s typography provided a deliberately simple counterpoint, ‘cutting’ the richness of the photography and ensuring clarity.